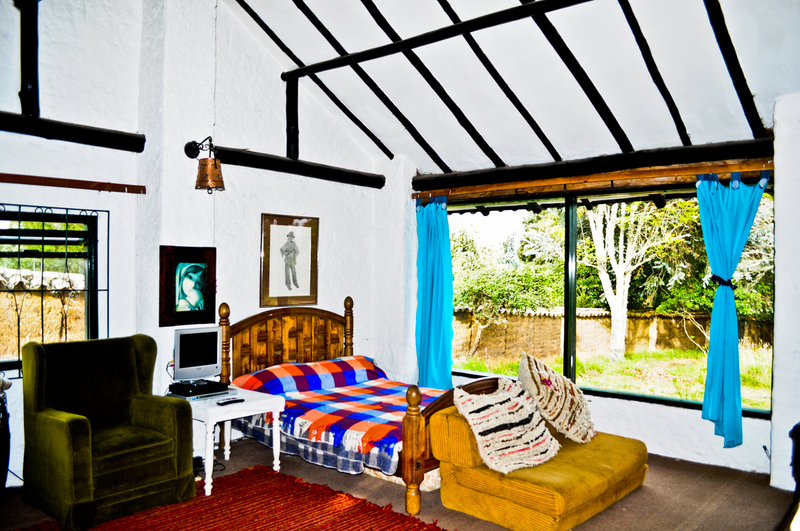 We offer basic rural accommodation, clean beds and clean rooms. We have a room with a double bed and an attached bathroom, and another room with four beds sharing a bathroom. We practice yoga and meditation every morning, you can book to join our practice, and share a beautiful way of starting the day, and life again. Discover the trails and sacred places of this magic territory. We can give you instructions, or guide you through amazing trails, telling you stories and acquainting you with local beautiful people. Through ancient trails you can walk from La Juanita to the ancient legendary lake of Guatavita, birthplace of El Dorado legend, one of the most energetically powerful places in South America. 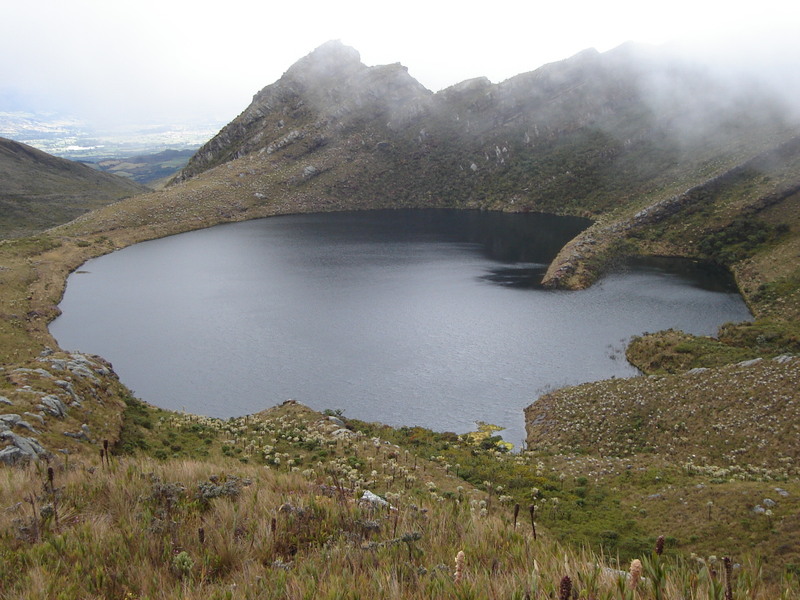 We can also trek to Siecha Lagoons, Humboldt waterfalls, Eagle caves, or just stroll around this beautiful valley. There are numerous attractions around the area. 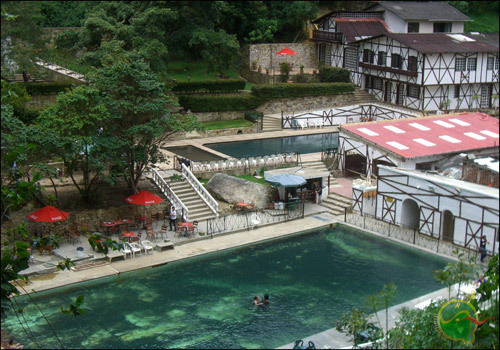 We can arrange transportation to take you, and tell you a bit about, places like Tenza Valley Hot Springs, Bear Valley, Suesca Rocks (where we can arrange climbing), Antique Graveyard, Guatavita Town, coal traditional mines, among other. 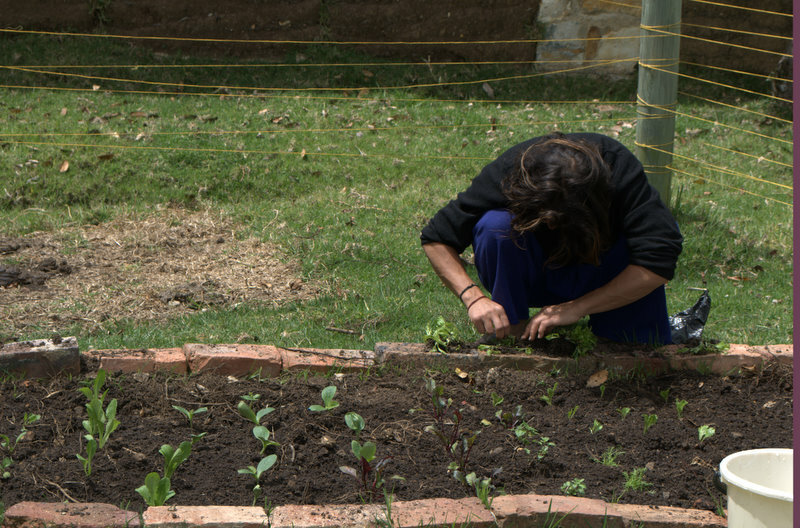 Join us to work the land, grab some tools and interact with mother earth. Connect yourself to your true nature through working meditation. 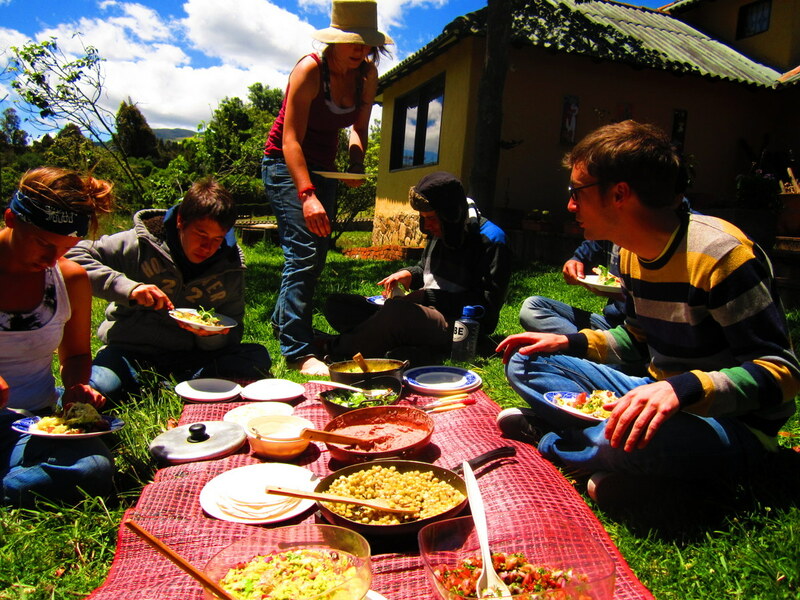 Learn about biodynamic agriculture, and permaculture principles.